At Projects Abroad, we are proud to offer volunteer projects, work experience placements and language courses of the highest quality. Founded in 1992, Projects Abroad has now sent 115,000 volunteers from all walks of life to thousands of volunteer projects throughout the world. In every community overseas we employ full time local staff to ensure that our volunteers work on worthwhile local programmes and that they are well supported and safe. Projects Abroad was founded in 1992 and is one of the leading international volunteer organizations. Since our inception we have placed 115,000 volunteers and interns on meaningful projects throughout the developing world. Learn about our Accomplishments or read some Volunteer Stories. We have over 600 full-time staff members worldwide. Many are former volunteers themselves inspired by their own experience, some even part of the original groups of volunteers back in the early 90s. Others are experts on the local communities you are working in, having spent their whole lives there. They have vast experience in fields such as community development or education. Please take a moment to familiarize yourself with our United Kingdom and overseas staff. The options with Projects Abroad really are limitless. 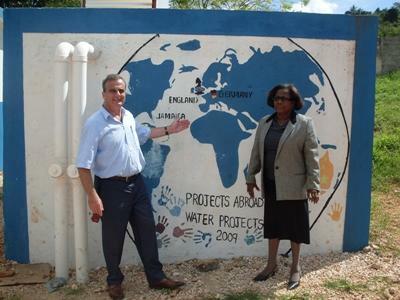 Through our local staff and our long associations in each country, we now work with over 1,000 different projects. If that is not enough, we can always create new and individually designed placements using the resources and experience we have, including tailor-made group trips. 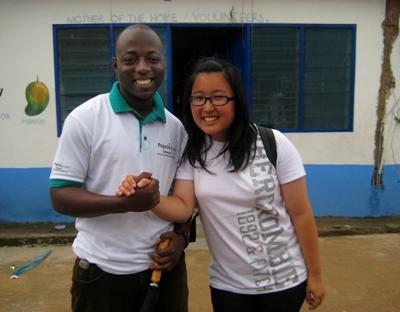 This enables us to match volunteer skills and aspirations to a suitable placement. Volunteers join us when it is best for them. There are no set start dates and programmes run continuously throughout the year, so we can easily fit to your schedule. Whenever volunteers arrive and at whatever time, our staff are waiting at the airport for them with all the details for their project fully prepared. This flexibility also allows people to combine projects, to live and work with friends, and to work at the placement which inspires them most. The idea of "worthwhileness" is what drives every project. By this we mean that every project we offer has been arranged by us to be worthwhile to you and the organisation you're volunteering for. To make this happen, we are constantly challenging our local staff to improve the support we offer the projects and to improve the volunteer experience. Continuous improvement is key. Our local staff are an amazing group of people. Some are social workers, some conservationists, other are teachers, lawyers, doctors or experienced NGO employees. They understand what placements are needed in relation to developing and benefiting the local community and economy. Our local staff are part of the community: committed to it and, like Projects Abroad as a whole, committed to long-term sustainable positive impact through the combined efforts of our volunteers. We pride ourselves on the support we give to an enormous breadth of existing placements across the globe. Through our local staff, we are able to establish new programmes and initiatives wherever they are needed. We also take worthwhileness very seriously when it comes to working with children. Read about our policy on this matter and how we make sure that our projects benefit both the volunteers and the local children involved. A big motivation for going abroad is to immerse yourself in the culture where you will be working. 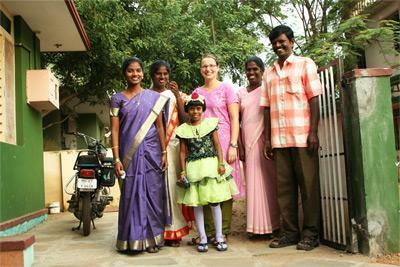 Projects Abroad knows living with a local host family is the best way to do that. You do not want to live in a bubble while you are abroad. You will not live with just any family. Our families are carefully chosen for security, comfort, and friendliness. Many hosts are associated with our programmes - for example, a teacher at one of our partner schools or a doctor at one of our medical placements. Your room will be modest but comfortable. Host families live in secure houses and neighbourhoods and are closely screened and monitored. 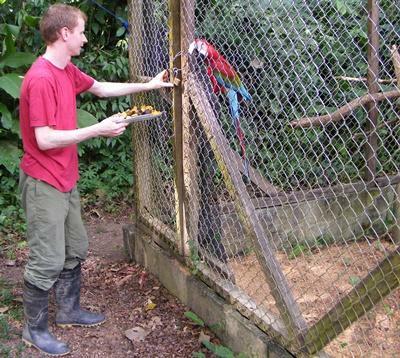 We have regular checkups, including before every new volunteer moves in. We also ensure they can provide you with quality home-cooked meals. Food is at the heart of a society so be ready to eat your fill of the local cuisine! In line with our commitment to being a positive influence in the communities we work, host families are paid fairly. They are also interviewed for friendliness and to make sure they are motivated by the right reasons. They will welcome you into their family and home and be eager to share their customs with you and have you teach them about your own culture. There are some locations where using host families is not possible. This is mainly on the majority of our Conservation Projects and in China, Cambodia and Vietnam, where volunteers live in a shared apartment or house. But we still evaluate your accommodation for quality and comfort. Your food will still be provided for you by Projects Abroad as well, usually by a local cook. It is also possible to volunteer with your friends from home and even if you are doing different projects we can often accommodate you together if you would like. Just request this where we ask on the application form. By going on a Projects Abroad placement, you are joining a community of fellow volunteers and local people in developing countries. You will all be working hard, travelling, and having a good time while achieving worthwhile goals. You will make great friends with your host family, colleagues, and the people living in your host community. You will also make great friends with some of the thousands of other Projects Abroad volunteers we send abroad each year. You will not only learn the traditions and customs of the country you are volunteering in, but also those of your fellow volunteers. You can also take part in the exchange by teaching your colleagues about the favourite parts of your culture. Most do not realise this multicultural aspect of Projects Abroad until they arrive, but it is a distinctive part of our unique appeal. You will return home with friends from across the globe and plans to visit them someday, or host them back in your country. In addition to the standard safety and backup Projects Abroad assures every volunteer, our staff will really go the extra mile for you if you need it. If you are uncomfortable with commuting to your volunteer placement after we show you during your orientation, we will ride on the commute with you again. If you are feeling homesick or having trouble coping with culture shock, we will sit down with you to lend an understanding ear and share our expertise with you. If you get sick or injured while abroad, we will take you to the hospital and be there for you until you are better. This begins before you even arrive abroad. If you are applying for credit or a grant, we will help you by writing a verification letter, filling out paperwork, or speaking with your school administrators. If you are using your time abroad for research or a dissertation, we can help you design your plan of study; many of us have academic backgrounds ourselves. If you had plans to go abroad by other means that fell through at the last minute, we will pull some strings to get you abroad on one of our programs as soon as possible. If your visa gets denied, we will call the embassy to lobby on your behalf. The fact is, we care. It is important to us that you are a happy volunteer, because happy volunteers are productive volunteers and make the greatest impact. Customization of your project, by choosing your start date, duration and project/internship of choice. Accommodation: Often in a host family (to provide cultural immersion) and three meals per day. Your basic needs during your volunteer work are covered. Travel insurance that includes medical and travel. Support from our teams on-site. In all our destinations, we have permanent employees who prepare your volunteer project, who help you to settle in once you are abroad, and can help you with any problems 24/7. These people are physically on-site and can assist you if you wish. The only major expense that is not covered by your program fee is the cost of the flight. The program fee covers not only the costs that are directly related to your presence in the host country, but also the support the structure of Projects Abroad provides as a whole. We are a completely independent organization and do not receive subsidies. Therefore, it is only your program fees that enable us to carry out our programs. The international experience that you will gain with Projects Abroad will be a great skill to add to your resume for future job applications. Today, it is not enough to have done an exchange one semester abroad to make a resume unique. But who can boast about experience working in China, Ghana and Peru? Even the ability to finance and fundraise for your project abroad will demonstrate your determination skills and ability to persuade. The volunteer projects and internships Projects Abroad offers will boost your resume with references and work experience out of the ordinary. Based on our own experience, but also that of our volunteers, the skills you gain from volunteering abroad with Projects Abroad will be useful in your everyday life. With Projects Abroad, you’re not only visiting an exotic country but living a true cultural immersion! You will stay with a host family who is also willing to share their culture with you, and learn more about the Western culture through you. In all areas of our work, we offer volunteer projects and internships that do not require our volunteers to have any special skills; even most of our medical internships are accessible to everyone. You also do not need any special training or specific professional experience, as we would have supervisors on-site to guide and assist you. That being said, if you have certain skills, you can utilize them to provide and implement new ideas at your project site; and for us to determine which placement would be a good fit for the use of your skills. If you have certain professional qualifications and would like to apply them, visit our Projects for Professionals page. Volunteers and interns have many opportunities to go sightseeing during their stay in their destination of choice. You will not be at work all the time! Generally, you have the weekends and evenings for your use and can explore the area around your workplace - alone, with other volunteers or with your host family. In many of our countries of operation, our local teams organize weekly social activities or trips at regular intervals of one or two days. If you join for at least 12 weeks with us, you will be entitled to have two weeks of holiday as part of every 12 weeks booked. This means that you may choose not to work for two weeks out of every 12 weeks that your project lasts. We strongly prefer that this holiday is taken at the end of your placement. 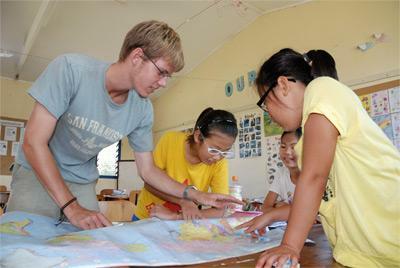 Volunteers often take the opportunity to discover more about their host country or travel in surrounding countries. You also have the option of adding a week of personal travel time before or after your volunteer project duration. Of course, it is up to you how would like to arrange your personal travel time. On the registration form, we ask you to fill out how much time you would spend volunteering with us and travelling in order to provide you the correct visa forms to complete. In all cases, our local teams can advise you on the must-see attractions, festivals not to be missed, best methods of transportation, cheap hotels, etc.